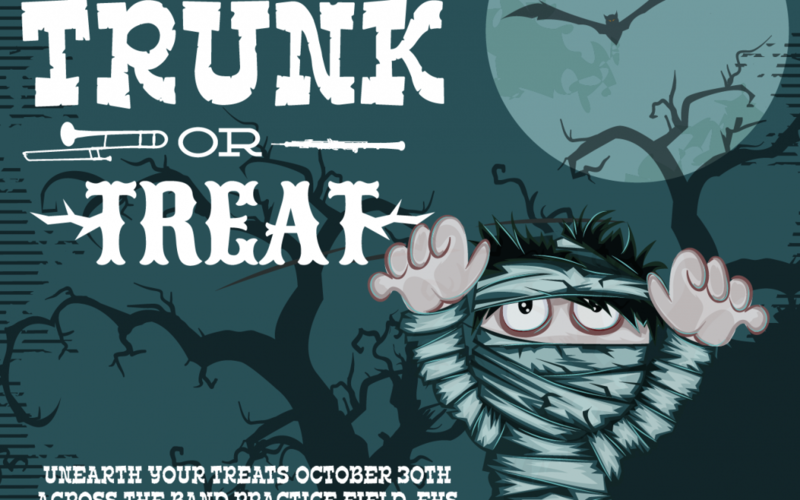 Fishers Band Boosters proudly presents Truck or Treat on October 30th right after practice. Parents, this is your chance to dress up: yourself, your car, your pets or your whatever. Let’s have fun, be creative and make this a great event for the band kids. It will be right across the band practice field. Bring your goodies. We will supply the bags. If you have questions, please contact Kim Ormond or Sondra Brosmer.